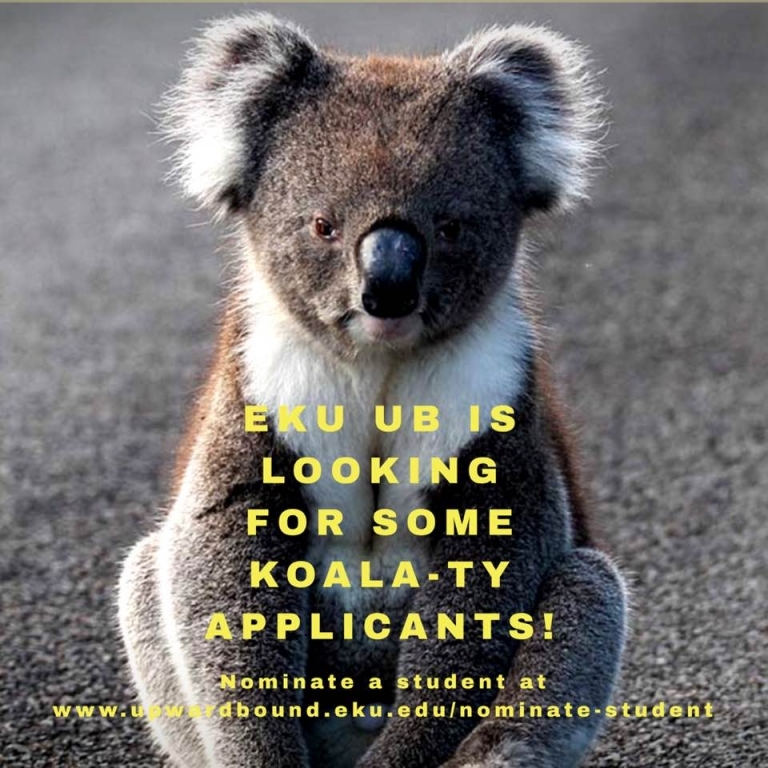 We would love to hear from our alums! 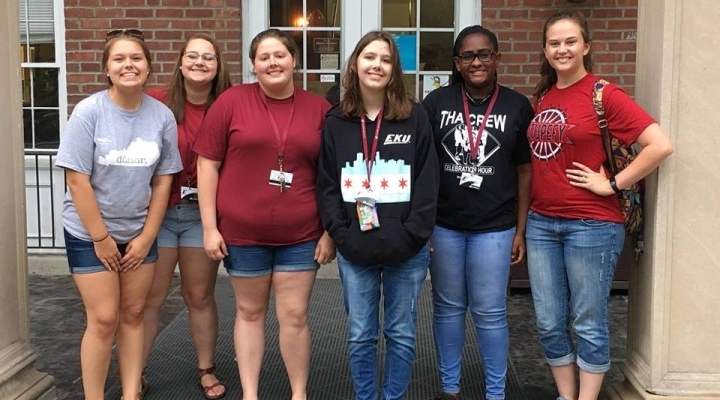 Please take a moment to complete our alumni update form to share some of your recent highlights and some of your memories with the Upward Bound program at Eastern. What have you been doing since the program? I received a low Draft Lottery Number in the fall of 1969 and would be drafted by the Army and most likely go to Vietnam. I controlled my own destiny and joined the United States Navy. I got out of the Navy and was a Federal Protective Officer with General Services Administration. I began work at the Internal Revenue Service in the Computer Branch and rose in the ranks from an entry GS-4 to a Senior Manager GS-15. I worked on many modernization projects at the IRS like Electronic Filing in 1986 - 1990. I worked on other projects with self-service web application on www.irs.gov like "Where's MY Refund. I retired with 37 years of total service in January 2007. Upward Bound gave me the foundation to succeed! What past experiences with the program would you like to share? I really enjoyed the many trips we took throughout Kentucky and to a Cincinnati Reds game. I was in an Upward Bound 1968 class play written by Thorton Wilder. I loved the softball games and tennis we played every week during the summer for the 8 weeks. All of the experiences were awesome! What have you been doing since the program? I am currently working on my MPA. I work in a nonprofit as a Head Start teacher and my BA was in Child and Family studies with a concentration on child development. I have two kids (ages 10 and 13), have been married for 12 years, and I'm a dance fitness instructor. What past experiences with the program would you like to share? UB was honestly the highlight of my life. So many opportunities and adventures. I met people that will forever hold a special place in my heart. What have you been doing since the program? I graduated from the University of Kentucky in 1988 with BSEE and got into the energy industry, mostly working with electric utilities in Kentucky and Arizona. Now I am building large solar power plants in Japan. Also, I did road and mountain bicycle racing in Arizona for a while but now enjoy snowboarding in the Japanese Alps. What past experiences with the program would you like to share? Upward Bound was hugely influential on me academically and socially. I was able to enjoy some amazing experiences with a diverse group of kids and was able to get introduced to and understand what college would be like and firm my resolve to do what it takes to do higher studies. I was able to have cultural experiences that expanded my thinking such as colonial life in Williamsburg (VA), workings of government in Washington DC, the ocean in Daytona Beach, the wonderment of Disney, and (of course) really getting a world experience at the 1982 World's Fair in Knoxville. Funny thing, though, one memory that really stands out is being able to eat three square meals a day, since outside of Upward Bound getting solid meals on a regular basis was tough. I especially loved the cheesecake with strawberry topping! What have you been doing since the program? I graduated from EKU and have worked as a project manager in the printing industry for many years. I married a fellow EKU alumnus and we raised our two children in Hamilton, Ohio. Both of our children have graduated from college, so I now stay busy volunteering in the community and helping others. I have lost touch with a lot of the people who were involved with UB program but still stay in touch with ones that I ran around with while in the program who are truly my friends for life. What past experiences with the program would you like to share? The travelling to all the different locations were enjoyable and living on campus in the dorms offered a foreshadowing into the future. I am very thankful for the opportunity and hope for continued success for the UB program. What have you been doing since the program? I am a property manager living in the San Francisco bay area. I have two daughters, three grandchildren, and one great-granddaughter. I was an insurance professional for several years, but found my true career as a property manager. I had my own company for several years, but now I am skating into retirement with a less stressful position in the industry. What past experiences with the program would you like to share? UB rescued me from a very unhappy home environment. It showed me a way out. Although I didn't finish college (my only regret in life), I value those summers I spent on the EKU campus as the most valuable times of my young life. Mr. Price, Mr. Vescio, and all the counselors and instructors were amazing. And I made friendships that endure until this day. I hope this program continues for generations to come. After finishing the summer bridge program at EKU in 2000, I was in and out of college and worked in various fields for several years. I decided to enroll at the University of Kentucky in 2006 and graduated in December 2010 with a B.S. in Electrical Engineering. The following summer, I entered as a medical student at the University of Pikeville, Kentucky College of Osteopathic Medicine. I will graduate in May 2015 with a Doctor of Osteopathic Medicine (D.O.) degree and, in June, I will move to Oregon to start a residency program in psychiatry! During my time in Upward Bound, I enjoyed the social activities and made many friends. Gaining experience on campus also made me more comfortable with the idea of attending a large university. I graduated from EKU in 1997 as a baccalaureate prepared nurse. I worked at UK for 7 years and finished my Masters in 2004. I have been working as a Nurse Practitioner in Richmond, KY since then. I enjoyed the travel and being on campus. I met several friends that I continue to keep in contact with. In fact, four of us are doing a 40 year old birthday trip this year together to Key West, FL. It was beneficial for me to leave my small home town and be in an academic environment. I graduated from UK in 2012 with a B.S. in Business Administration, focus: Marketing. Since then, I have become a member of the Army Reserve and have gone on for my Masters at EKU in Sport Administration. I will graduate May 2014 and will be heading to Greensboro, NC to UNC-G to get my MS/PhD in Educational Research Methods. I was blessed with the opportunity to be part of the Upward Bound program from 2002-2006. I got the opportunity to travel, learn, and make life-long friends. The courses made it much easier to navigate my high school curriculum and set me on track to go into undergraduate studies. Upward Bound helped me understand that there were not as many barriers as we tend to think there are in life. 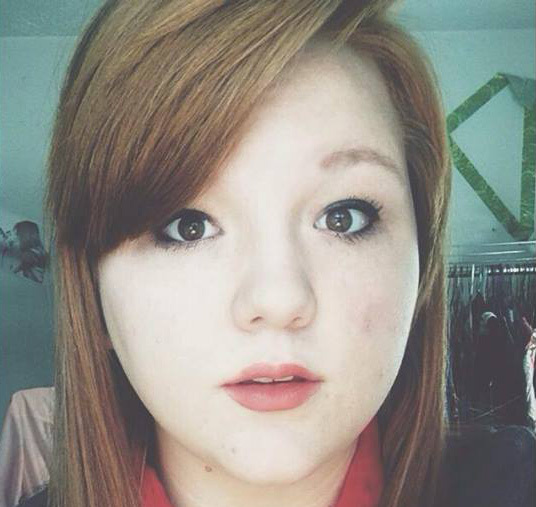 Since Upward Bound, I have been attending Morehead State University, where I am currently a junior psychology major. I aim to graduate in May of 2015 with a BA in psychology, as well as apply to the clinical psychology graduate program at EKU. Deciding to apply to UB was the best decision I have ever made. Throughout my three or so years in the program, I learned many things. One of the most important things I came out of the program with was a sense of family like I had never felt before. I made connections with people in UB that I would have never made sitting at home over three summers. UB provided me with opportunities I never would have imagined having, such as end-of-summer trips to Virginia Beach and Chicago (my favorite). Through UB, I learned who I am. I'm not just a normal, shy girl from Powell County. I am now a very open-minded young woman who no longer fears the future, but embraces it. John and Jessica Wilson started dating in 2000 while both undergrads in UB. John is from Lee County, Jessica from Wolfe. Both John and Jessica graduated from EKU with BA's in Broadcasting and Electronic Media. They were married in 2007. John currently works as an award winning news photographer and WKYT in Lexington, Jessica as a news anchor at Wallingford Broadcasting in Richmond. John has won 2 TV Emmy's, several Kentucky News Photography Association Awards and National Press Photography's Awards and an Edward R. Murrow Award. He is also on EKU's Communications' Star's wall. Jessica obtained her master's degree in 2011 and has some associated press awards. They live in Richmond, in a house they remodeled with their 3 dogs, Larkin, Bruce and Crosby. John and Jessica enjoyed getting to see the country on several UB trips. Classes were successful in college prep. Hanging out in the dorms and playing basketball was always fun for the Wilsons. All the staff were instrumental in instilling a determination to succeed in the two. I took a break from school after Upward Bound. I have since returned to EKU and will be graduating in December 2014 with a Bachelors Degree in Psychology with a minor in Business and English. I recently returned from a study abroad program in South Korea. I lived there for four Months and took classes at Anyang University. I have so many wonderful memories from Upward Bound. I loved living on campus each summer. My first summer with Upward Bound we did a scavenger hunt and I remember running all over campus with a group trying to find everything. It was great fun. Each trip we took was amazing and offered me opportunities I normally would have missed out on without the program. I would recommend this program for any High School Student. I graduated from Centre College in 2008. After graduation, I was an English teacher at a high school in Epinal, France. Then, in 2010, I began studying at Vermont Law School where I am pursuing a JD and a certificate in Alternative Dispute Resolution. Last summer, I interned for the VT Secretary of State and this summer I am interning for the General Counsel of Edinburgh Int. My summers at UB helped keep me focused on academics and certainly helped me come out of my shell. I am very thankful for the guidance and support of my UB colleagues, and I am proud to be an alumni of such an amazing program. Have been raising my family with my wife of whom I married in 1990. Working as a firefighter/Paramedic. Was Scoutmaster for 12 years and currently volunteering as a district leader of Boy Scouts of America. My kids, Omer, Mamie, Earon, and Regina are now growing up; Omer is currently a firefighter and enrolling in an EMT class, Mamie is a senior in high school planning on attending UK premed then on the Vet school, Earon started high school this year, and Regina is in middle school. To fill the "empty nest" Paula and I are now foster parents. I am also a herbalist and folklore storyteller and am currently finishing up a herbal medicine book that should be ready for publishing late this year or early next. First and foremost UB let me know that I could thrive on my own without my parents making all of my decisions for me. I learned to balance my time between studies, work and having fun. I wish that I had stayed in touch with all of my UB friends but life has a way of pulling everyone in their own directions. I met both of the men who stood beside me at my wedding at UB and we are still friends today, 22 years later. Several of my friends that currently bless my life, I met at UB. UB may not have prepared me for every aspect of college life, but it did give me the knowledge that college was not out of my reach. Milly and Lonnie were my parents away from home and I still love them dearly. To them I say, "The Humungous Fungus Among us", may no longer be at UB but we are still together as friends even after 22 years. We may not all be rich but we are successful. Thanks for the love and support you gave to a bunch of rebellious teenage boys. I earned my Bachelors in Sociology in 2003 and then my Masters in Criminal Justice at EKU in 2005. I then went on to explore a PhD program at Arizona State University before settling on UK's Sociology Doctorate program in 2007. Since then I have worked toward my PhD focusing my research on Appalachia, foodways, gender, and sustainability. I have conducted field research in Eastern and Central Kentucky and am currently working on a documentary film in addition to finishing my dissertation on motivations of home food preservation practitioners, ie. home-canners, etc. I have taught several courses at EKU in the Criminal Justice and Sociology departments and am excited to one day become a Professor at EKU- where my heart truly wants to serve. I knew EKU was the school for me while visiting during a field trip from my high school. Not only did I find the campus beautiful and just the right size for me, but everyone who represented the university was helpful and genuine in their interest for my future. They really wanted to help me succeed. 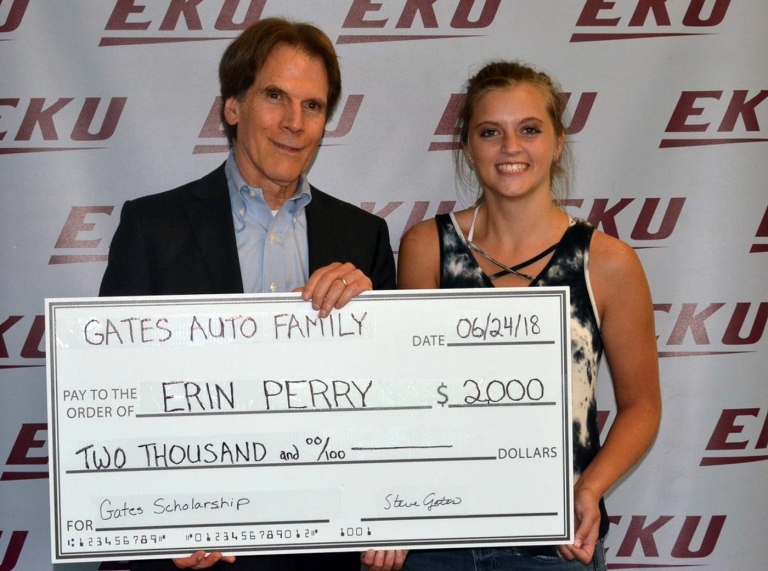 The courses I shared with my NOVA peers at EKU became a comfortable family-like space where others, like me, understood what it felt like to be away from home and experiencing the ups and downs of college. No matter how many other friends and people I met outside of NOVA, I always had the familiarity of my NOVA peer group and the loving guidance of Jane Tinsley. Receiving birthday cards from Jane was very meaningful. Working! Trying to dig up some support for UB alumni pot lucks like the one in 2011. I loved everything about the UB experience. Most of us at the time felt a little out of place in our home counties but when we all got together in Richmond it was definitely our second family. (First for some of us!) I made great friends, which I never get to see enough of these days. We got to travel to places outside of KY that I really never had a chance to see before. Our first year we went to DC and saw all the monuments and the Smithsonian, that was unforgetable along with a magical trip to Charleston. I currently work for the Boyle Count y Public Library. I have also worked for the Lincoln County Health Dept - HANDS Program, Northern KY Head Start teacher. I love all the traveling that we did. Atlanta GA, St Louis MI, Washington, DC., etc. I still have close friends that I met in Upward Bound. Loved working on the UB newspaper, Saturday morning study sessions, plays at the end of the year, our formal dance at end of the summer. I attended WKU (traitor, I know...) and received a bachelor's degree in psychology. I work as a program specialist at the largest privately-owned children's and adolescent's psychiatric facility in the country. I plan on furthering my education by earning a master's degree in either behavior analysis or mental health counseling. I share an apartment in Louisville with my boyfriend and love of my life, and we are preparing for the arrival of a four-legged addition to our family! I found a great group of friends and was exposed to a variety of opinions and experiences I wouldn't have had in high school without the program. I was so glad to find a bunch of accepting, fun , and randomly unique people to spend the summer with and how much I fit in. It was pretty cool for a shy quiet kid from Casey County to come back from the weekend feeling like a big man on campus. Our summer trips were a blast, especially since I came from a family that really couldn't afford vacations. The TA's are the best, and the "moms" are super helpful even when you are out of the program. The experience really helped me through an extremely rough patch in my personal life by exposing me to a wider world and giving me courage to be myself. At that time, I honestly feel that UB saved my life, and for that I can't be more grateful! Since being in the program I have gotten married and have had two children. I am a stay-at-home Mom and my oldest child is getting ready to start pre-school. My summer as a TA-in-training was the best. The days spending around the dorm and helping the UB students are some experiences that I would not trade for the world. Most of my UB friends were TA's as well and I still got to be around some of the friends that were behind me in school. It was the best of both worlds. Our end of summer trips are still some of my brightest memories and most of them are trips I want to take with my husband and children when my children get a little older so they can truly enjoy what I got to see when I was in high school. Since the UB program, I have become a police officer for the City of Richmond Police Department. I have been employed as a patrolman there for 3 1/2 years. I love my job and being able to protect and serve the community but I do miss my days as a UB student and TA! I had 7 years involved with UB! 3 as a student and 4 as an employee. So many memories! Daytona Beach, Memphis, Toronto just to name a few! The biggest memory was giving back to the students what was given to me...Oh and making kids count parking spaces in the Alumni Coliseum lot during d-hall! I have been attending EKU and I just finished working as a Tutor Advisor for the program. When I came to Upward Bound, I was incredibly quiet and shy. I was so shy that I talked to almost no one in the program. Thankfully, my first summer session helped me to open up and enable me to talk to new people! Thanks to Upward Bound, I was actually excited about college for the first time. Getting prepared to start college on August 14 at Hazard Community and Technical College in Jackson. My major will be Interdisciplinary Early Childhood Development, which actually I learned about over the summer I spent at EKU. Pretty much my favorite would have to be getting to go to Chicago with such an amazing and unique group of people, that week will forever be one of the best memories of mine! But, my writing class with Buffy also was great. She inspired me to be a better writer. And last but certainly not least was my science class she succeeded in being the only teacher I have ever had in that subject to actually get me to understand! Thank you Upward Bound! I attended Cumberland College and graduated in 1998 with a Bachelors degree in Special and Elementary Education. I have been teaching at Powell County Middle School as a Special Education Teaching since 1998. I completed my Masters degree in Curriculum and Reading Instruction from Coppin State College in 2002. I have been married since 1998 and I have a 12 year old son. One of the experiences that made the most impact on me were the sense of family. Jami Nichols also made a huge impact on my UB experience. Graduated from Madison Central in 1994 and EKU in 1999 with BBA in Healthcare Administration. I am currently working as an Underwriter at insurance company in Lexington. Proud mom to 4 beautiful children! Dominic, 16 Aryanna, 11 Aaron, 9 Logan, 5. I was one of a few students that was able to start the program the summer after my freshman year high school and loved that extra summer. Some of my favorite memories of high school are from all the trips we took during Upward Bound. I still talk to my children about going to Toronto, my favorite trip! UB provided opportunities to me that I didnt have and I am greatful for that! I still have my Miss Upward Bound Sophomore and Senior plaques!!!. I graduated from Western Kentucky University & graduated in 2011 with a BA in Public Relations. The summer after I graduated, I worked as a TA with Upward Bound. After that summer, I moved to Kenya to work as a journeyman with university students in the city where I live. I will be here until July 2013. My favorite part of Upward Bound was that I got to take classes for credit toward university. Thanks to the program, I was able to start my first year with a few classes under my belt. It made my first year less stressful than it could have been. Also since my I spent so much time away from home, I was prepared to go to a university that was a few hours from home. I think the program also prepared me to be more adventurous & made me love traveling. UB prepared me for a lot more than just education. I loved my time as a TA, even though it was very difficult most of the time. I loved the relationships that I was able to build with some of the students. One of the students that was in my family was struggling with feeling wanted and like any one actually cared for her. At the end of the summer, she wrote in my book "Emily, you saved me." It was one of my favorite moments. I graduated from Bellarmine University in 2007 with my degree in accounting and worked for a CPA firm then transitional to the accounting department at Six Flags Kentucky Kingdom. When SFKK closed I moved to Georgia to work for Phi Mu (Fraternity) Foundation as the business manager. In 2011 my husband joined the Navy and we have now lived in Norfolk, VA for a year where I work for a major healthcare system in the corporate accounting department. In May I will receive my MBA from Murray State and plan on beginning the process of completing my CPA. Whenever I think about my time at UB I can't help but remember all of the fun I had with my friends. It is amazing all of the people I got to meet from the region and the friendships I made with people from my own school who I otherwise wouldn't have necessarily been friends with. My favorite memories are almost all of the Gatlinburg trips and all of the ridiculousness than usually ensued. Living the life and loving it! Despite outward appearances (you're a homemaker?) I have found fulfillment in all the stages of my life. I have enough college credits that my return to school in the near future will not be so daunting as I hope to finish my education degree and perhaps go even further. For now, I am completing my daughter's homeschool education at the high school level while exploring my own interests in genealogy, organic gardening, and writing (both a blog and a book). Thank the Heavens for the UB program!!! Not all of us peaked in high school and needed the realization that learning and growing are both meant to be a LIFE LONG EXPERIENCE, not a means to an end. I made lifetime friends through UB, ones who still spur me to become my best self. And on Shannon's note about getting out of our county to travel instead of being resigned to being "stuck" in our little corners of KY, Mark Twain said it best; "Travel is fatal to prejudice, bigotry, and narrow-mindedness, and many of our people need it sorely on these accounts. Broad, wholesome, charitable views of men and things cannot be acquired by vegetating in one little corner of the earth all one's lifetime."! I have a MA in Counseling Psychology and am currently working toward a MAT in LBD K-12. I have been married to Bentley since 2001 and have two daughters Schyler (9) and Callie (7). After working briefly as a children's therapist, I became a stay at home mom in 2003, but currently substitute teach in Mercer County. I went on several wonderful trips with UB including Chicago and Toronto. It was also at UB that I was introduced to the field of psychology. I made many wonderful friends and always enjoyed being on campus! Graduated from EKU, 28 years in Education as a ag teacher, high school principal, central office administrator. County Coroner 6 years. Still live in Lee County. Made a lot of friends, always enjoyed the trips, dances, and chance to experience what a college was like. Graduated High School in 91 and recieved my BA in Sociology from EKU in '94. I took a year off before going to Ohio Northern for law school. I recieved my JD in '99. Admitted to the KY bar in 2000 and to the SCOTUS bar in 2006. I have two (grown!) children. Currently in private practice focusing primarily on family law.